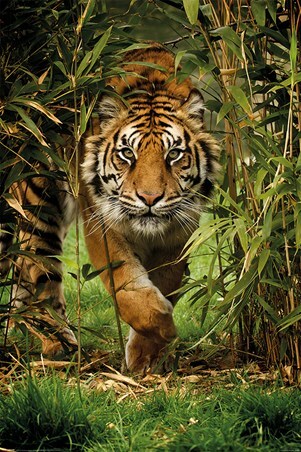 Seeing a tiger so close up is utterly incredible! 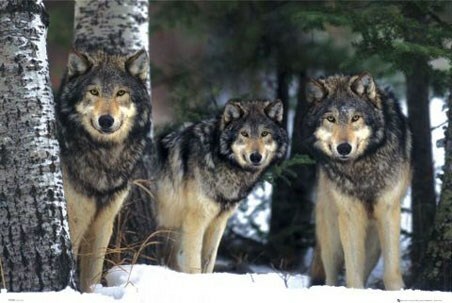 This awe-inspiring animal is the king of cats and at the top of the food chain. Pictured here the king of the jungle is staking his way though the overhanging stalks of bamboo, captured in this shot is a high level of intricate detail in stunning high definition; you can't help but be amazed at the beauty of this wondrous animal. 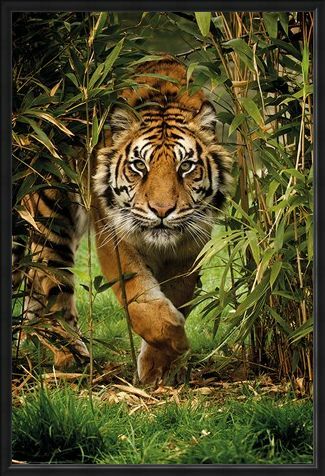 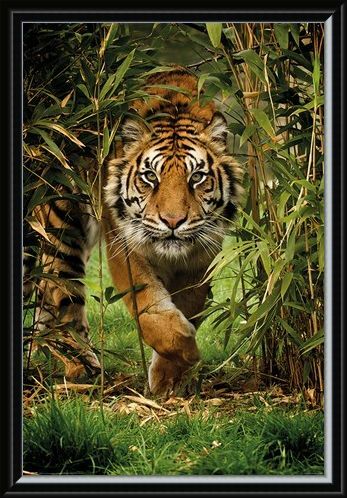 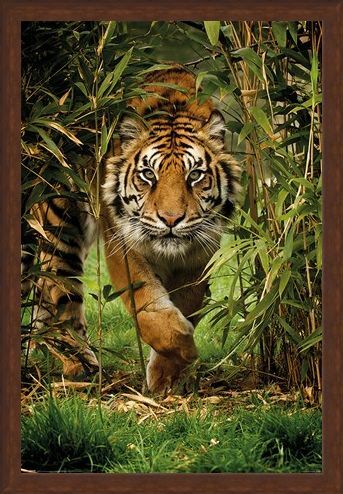 High quality, framed King Of The Jungle, Bamboo Tiger poster with a bespoke frame by our custom framing service.